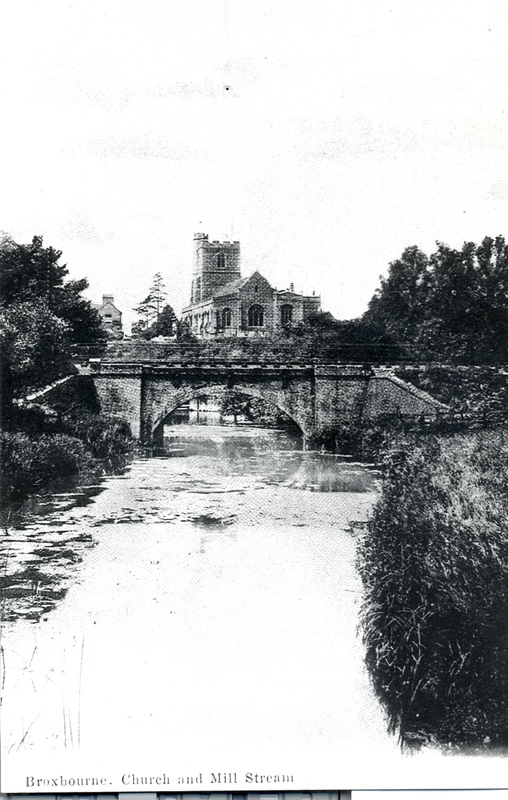 The grade I listed St Augustine’s Church in Broxbourne, standing near the New River, was built in its present form in the 15th century, but goes back many centuries before that. 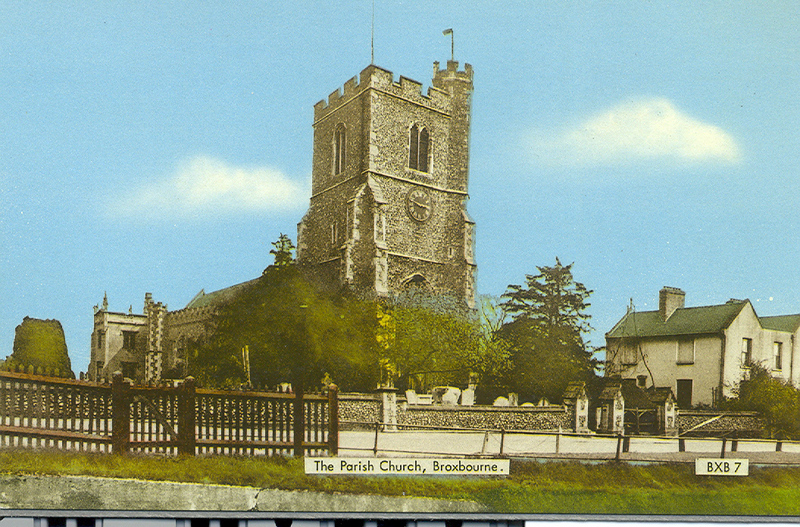 The first record, as usual, is in the Domesday Book of 1086, which lists Broxbourne as a parish with a priest. No church building is mentioned; there would probably have been one, but its location is unknown. 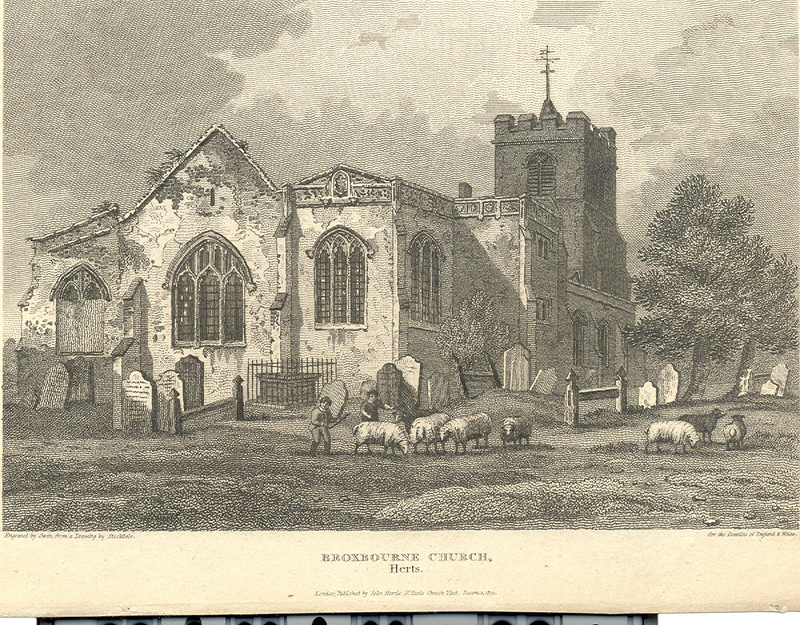 The present church includes several relics from its predecessor, notably the 12th century font of Purbeck marble, but it was rebuilt in the 15th century. The initial work seems to have been complete by around 1460, and is believed to have been paid for by Sir John Say, Lord of the Manor of Broxbourne, whose tomb is on the south side of the chancel. Further extensions to the church, including aisles, a tower, chapels and a vestry, continued through the 15th and 16th centuries. The church contains a fine window on the east wall of the chancel with the original stained glass from the 15th century, and there are many tombs and brasses for members of local families, including the Says, the Monsons and the Rawdons. The south aisle holds a memorial to John Loudon McAdam, the pioneer of modern road-building, who lived in Hoddesdon in the last years of his life. The parish of Broxbourne originally stretched as far north as the Clock Tower in Hoddesdon, but lost much of its territory when the parish of Hoddesdon was formed in 1844. 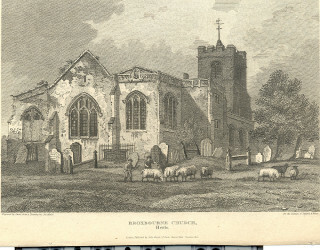 In the 1970s, the parish merged with Wormley, and St Augustine’s is the joint mother-church with St Laurence’s in Wormley. 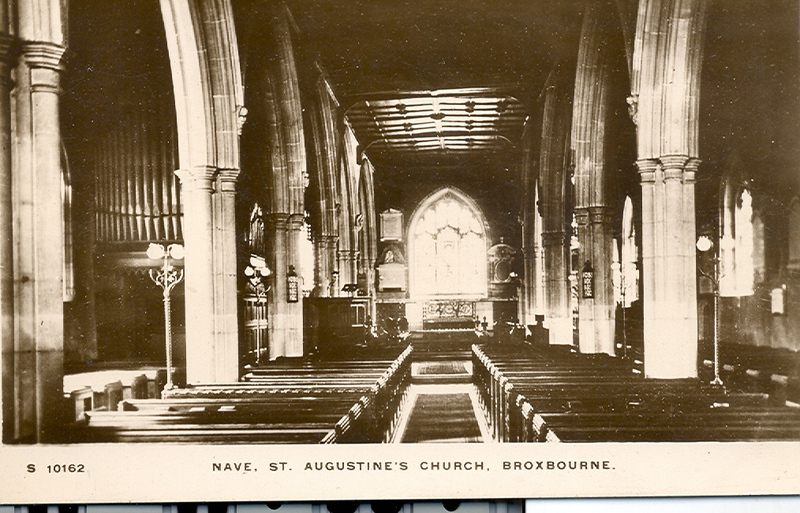 St Augustine’s forms a picturesque centre to Broxbourne, but it’s also the place where local people have worshipped since mediaeval times. 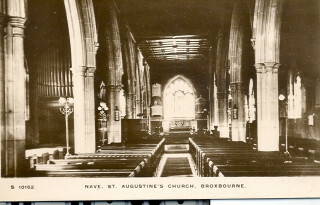 As with so many parish churches, all over the country, St Augustine’s links the people of Broxbourne to their distant past. This page was added on 11/01/2012.